Then there were composers on my list whose music I was not very familiar at all. Perhaps I had heard a couple works by each composer, but couldn’t begin to tell you about his or her style. Or perhaps I had never heard anything by them. The backbone of Tranquil Abiding is an incessant breathing of the orchestra: an inhaling crescendo on a held note followed by an exhaling decrescendo at a note one step below the inhalation. The breathing is predominantly featured in the strings, and while the winds sometimes participate in the long-notes of the breathing, their primary role is to provide more extroverted florid melodies, at times resembling birdsong, that activate the surface texture. One would think that such a simple idea cannot be sustained for nearly 15 minutes, but Harvey’s brilliant orchestration and his continual varying of the orchestra’s breathing and overall texture does the trick. After hearing Tranquil Abiding, I returned to the CCM catalogue to search for more Harvey scores. 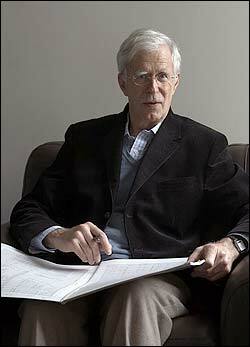 So over the past weeks, I have listened to 14 works by Jonathan Harvey with score in hand. The pieces ranged date-wise from 1969 (Images after Yeats for solo piano) to 1998. They ranged duration-wise from 24 seconds (Haiku for solo piano) to 20 minutes. They ranged in forces from solo piano to a cappella choir to large orchestra with two conductors (Timepieces from 1987). After listening to these, I was struck by their diversity of expression. No two pieces are alike. Even more striking was the naturalness of Harvey’s modernistic language. Most of these pieces are quite technically demanding for the performers, but they are no less expressive. I imagine that they are hugely rewarding for performers. Harvey’s sacred choral works were also particularly refreshing. Harvey has contributed fresh new ideas to a genre that is too often ignored by composers of his ilk. There is a certain sincerity to these sacred works too, which allows them to function as liturgical service music as well as concert music. I came away considering Tranquil Abiding, the first piece I heard, to be the most rewarding of all these pieces. Other favorites were Missa Brevis, Time Pieces, Nataraja, and the String Quartet No.3. Most of all, I came away inspired. This entry was posted in Uncategorized and tagged Composition, harvey. Bookmark the permalink.